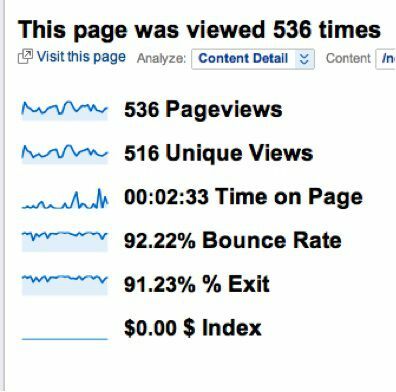 From the lab of our mad analytics scientists, Devin Shields, we bring you all of the information you will ever need to know about bounce rates. According to Google: Bounce rate is the percentage of single-page visits (i.e. visits in which the person left your site from the entrance page). 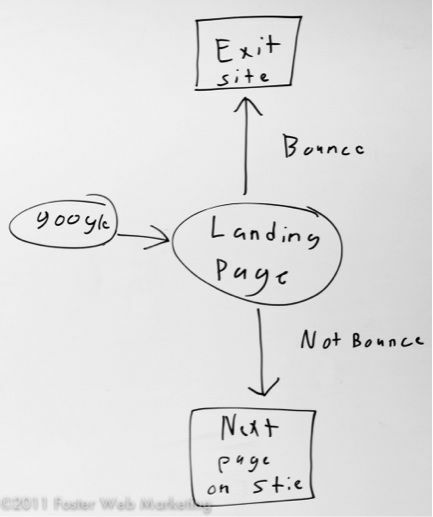 Bounce rate is a measure of visit quality and a high bounce rate generally indicates that site entrance (landing) pages aren't relevant to your visitors. You can minimize Bounce Rates by tailoring landing pages to each keyword and ad that you run. Landing pages should provide the information and services that were promised in the ad copy. How do you find out which pages need work? 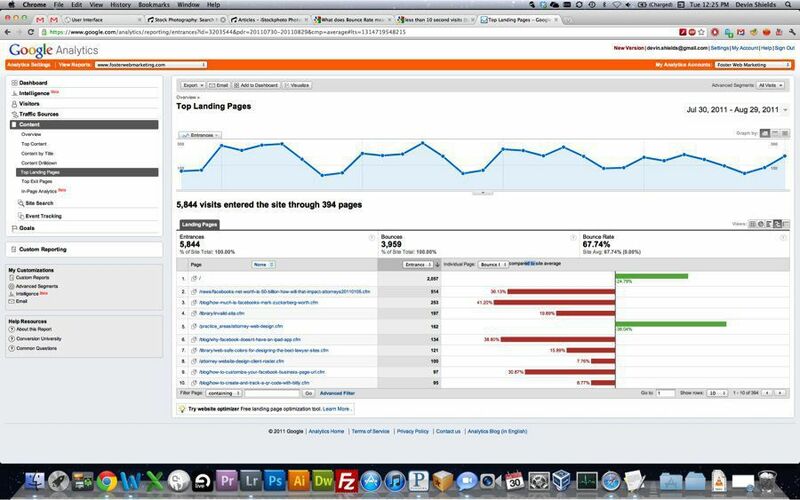 Log into Google analytics. In the left hand sidebar click ‘Content’ then ‘Top Landing Pages’. On the right hand side click [ Views -> Comparison ]. At the top of the columns, click [ Individual Pages -> Bounce Rate ]. Pages in red are worst than average at leading visitors to other places on your site. What should you do about a high bounce rate? If the ‘Time on Page’ metric is less than 30 seconds, consider changing that page’s content and keywords to deliver more value to readers. High quality, targeted content will convince readers that other content on the site is of equal value. They will click through and this will lower the bounce rate. 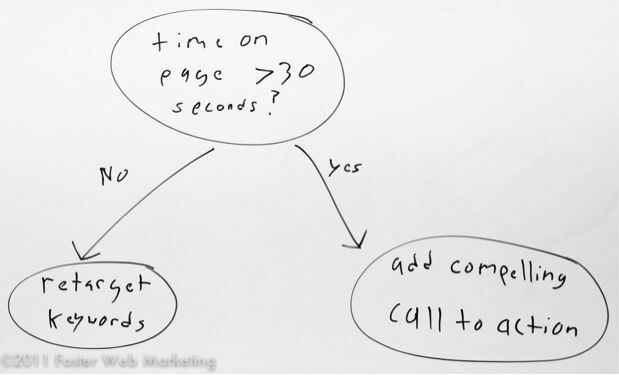 If ‘Time on Page’ metric is more than 30 seconds, consider adding relevant links and ‘call-to-action’ content to the page. Help these engaged readers explore their interest (and your site) by providing links to content like the content on the page.